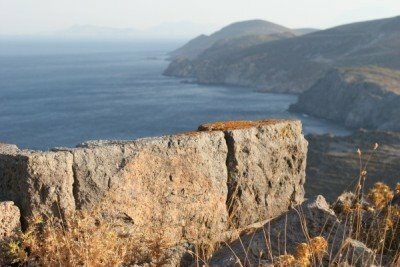 The island of Patmos has been inhabited since 3,000 BC, but the identity of its first inhabitants is still unknown. 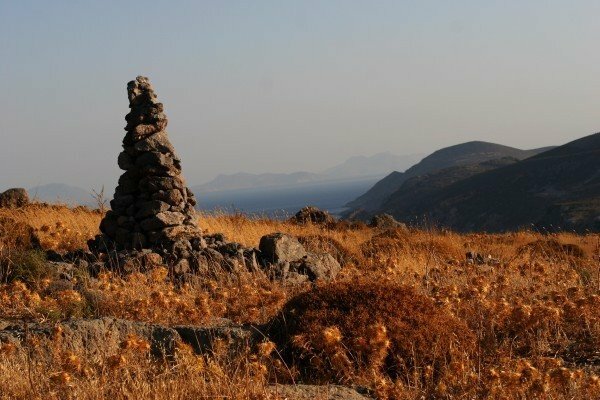 The earliest remains of human settlements in Patmos date to the Middle Bronze Age (c. 2000 BC) and consist of pottery shards from Kastelli, the most important archaeological site so far identified, only a 5 min. drive away from Patmos Villa Sophia. 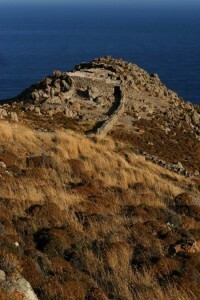 Patmos is mentioned in the Christian scriptural Book of Revelation. 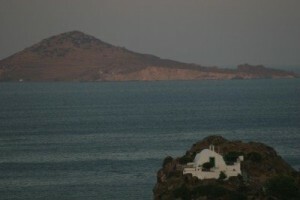 The book’s introduction states that its author, John, was on Patmos when he was given and recorded a vision from Jesus. Early Christian tradition identified this writer John of Patmos as John the Apostle. As such, Patmos is a destination for Christian pilgrimage and visitors can see the cave where John is beleived to have received his Revelation (the Cave of the Apocalypse), situated only a 7 min. drive away from Patmos Villa Sophia, and several monasteries on the island are dedicated to Saint John. 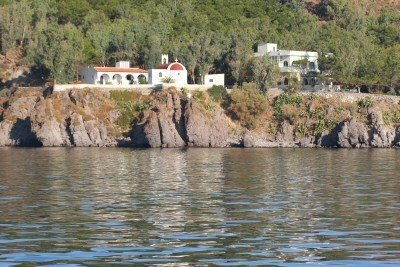 In 1085, though, a zealous Byzantine monk, the Reverend Father Christodoulos was forced by the Turks to abandon his temple in Asia Minor and went to the island of Kos were he founded a monastery. There, he met the monk Arsenios Skinouris who asked him his help to build the Monastery of Saint John in Patmos, only a 5 min. drive away from Patmos Villa Sophia. Generally, the island remained under Ottoman Empire influence for almost 300 years, but it enjoyed a certain degree of respect and certain privileges, mostly related to tax-free trade by the Monastery, as certified by Ottoman imperial documents held in its Library, only a 5 min. drive away from Patmos Villa Sophia. A typical Patmian house, like Patmos Villa Sophia, is divided in two parts, serving basic needs of the locals with a lovely flourishing garden and storage areas in the basement. 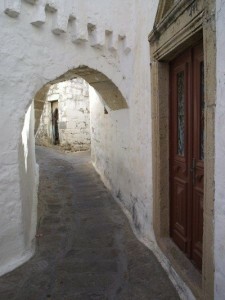 The Byzantine structural elements which are often seen in the capital testify to the island’s historical importance, throughout the ages. 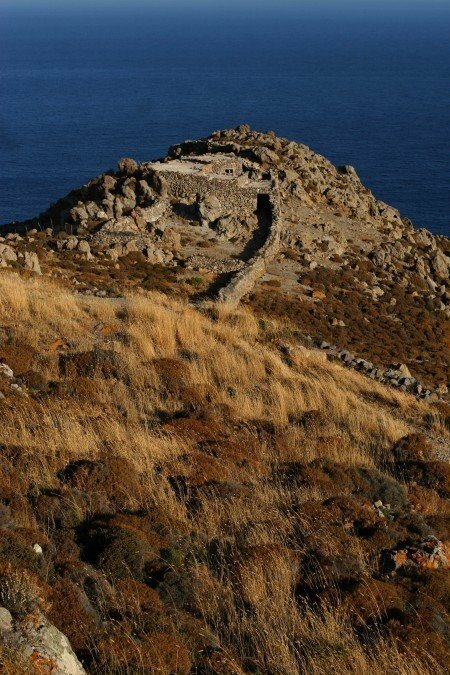 Following the financial development of Patmos island, we see the appearance of two-story luxurious houses and mansions that very much resemble each other. 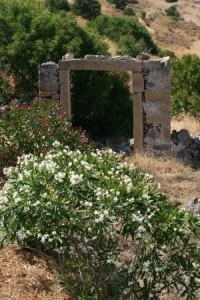 Most of the later villas and lodgings have respected the traditional architecture.